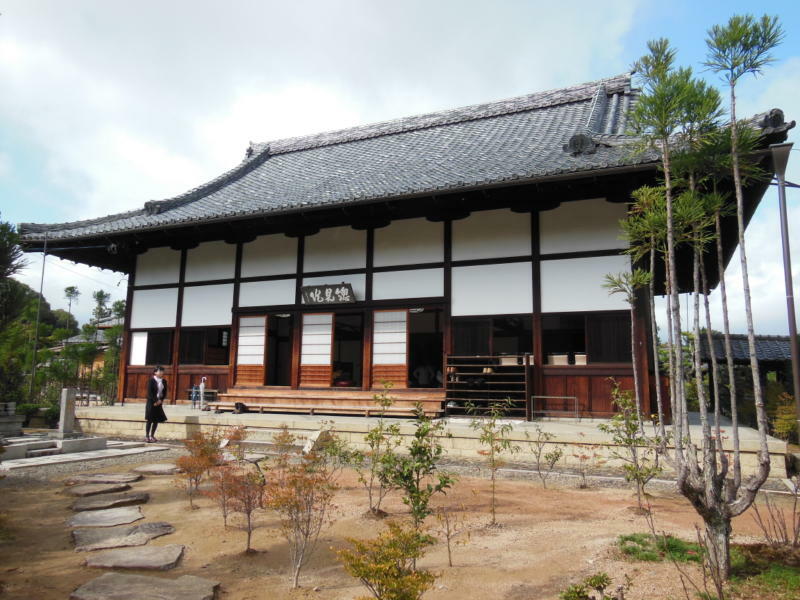 Houkyou-in is a temple of the Rinzai sect in Sagano. 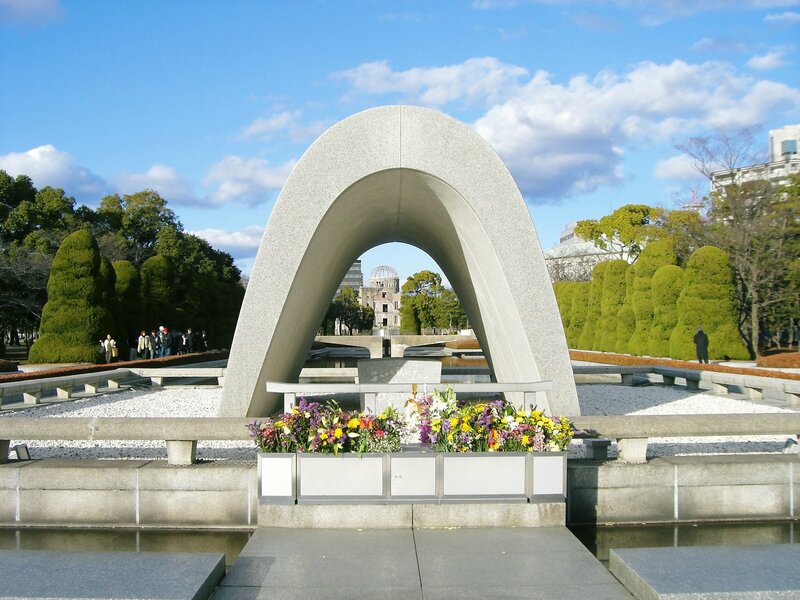 It is known as a cemetery of Masatsura KUSUNOKI who was the loyal subject of the Southern Dynasty, and Yoshiakira ASHIKAGA (the second Shogun of the Ashikaga government) of the Northern Dynasty in the Period of the Northern and Southern Dynasties (about 650 years before). It is in the corner in quiet Sagano, and there is it in the inconspicuous place so as not to notice it, even if you see the entrance. 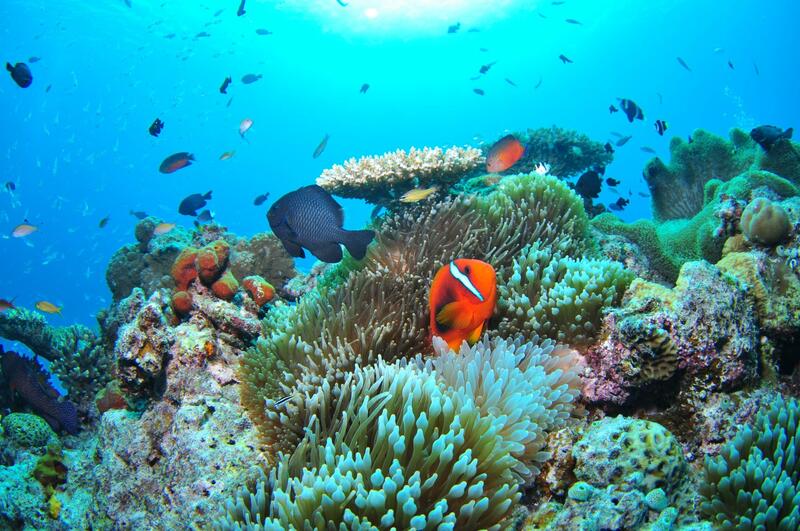 Although there are comparatively few tourists, the person who visited once is liking to come to go again. It’s really out-of-the-way spot in Kyoto among the locals who really know. 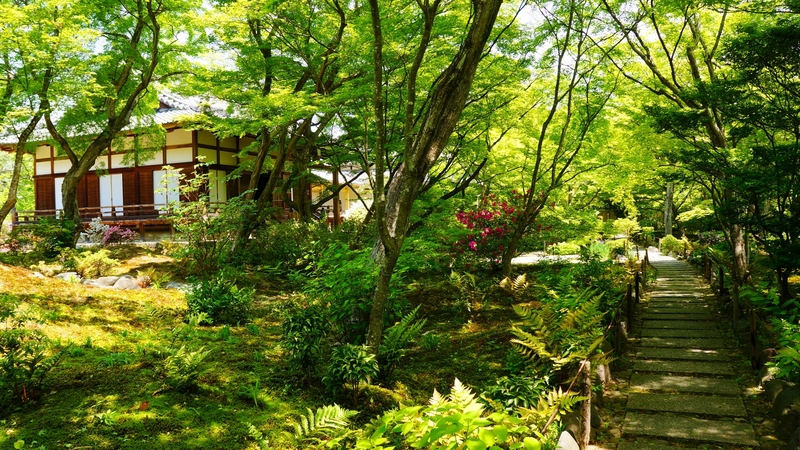 It is a beautiful temple that has the tasteful garden with the bamboo forest, moss, and a shiny seasonal flower. 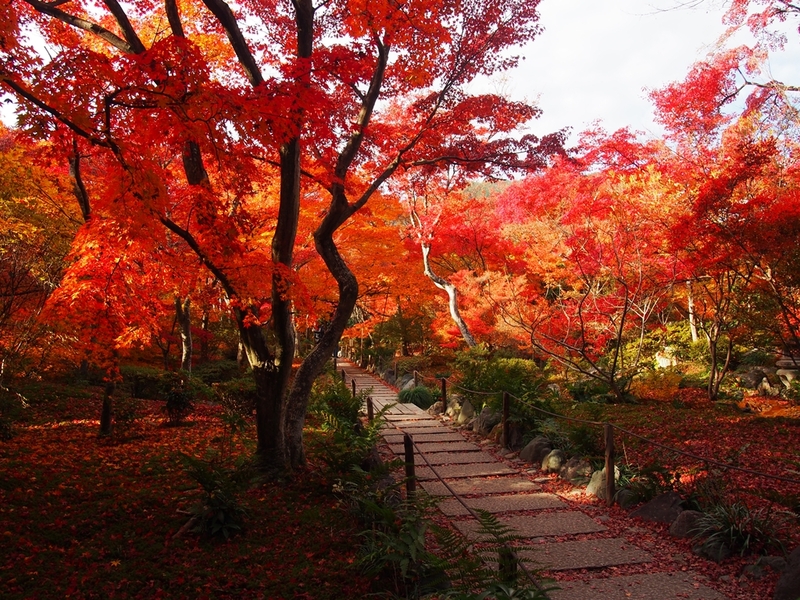 Brilliant autumnal leaves are seen from late autumn to early winter, and the corridor of the maple trees of the precincts of the temple changes to autumnal tints beautifully. If you pass through the gate from the entrance, there is the way of the straight stone pavement and the tunnel of autumnal leaves continues on the both sides. 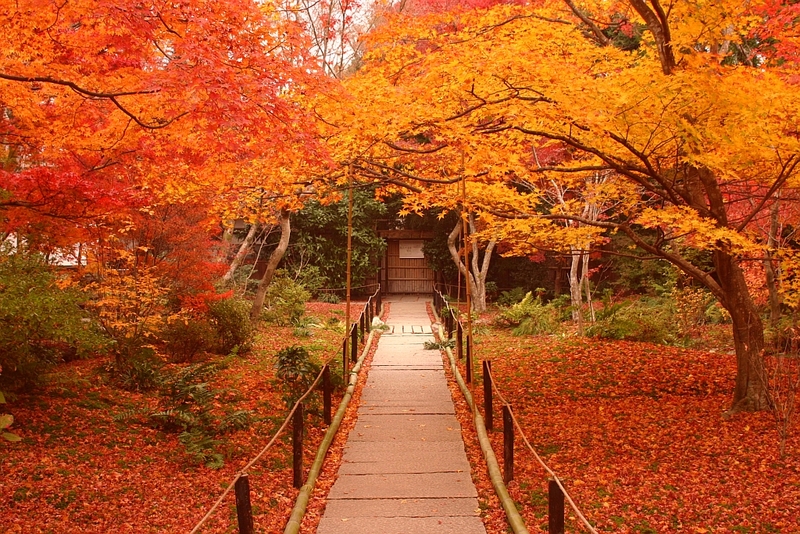 The state that all over the area is wrapped in gold and red colored leaves is unmissable. The garden can be seen also from the inside of the room. It is also good to be absorbed in meditation, taking down the waist to a tatami or a veranda in silence, and looking at a scene turned red. Although Houkyou-in Temple has the circuit style garden, the bamboo grows gregariously in one corner. The meaning of a Chinese character called “Kyou” of “Houkyou-in” is a thing with “the bamboo basket with small squares.” It is just a brilliant garden which presents the aspect of a treasure bamboo basket. 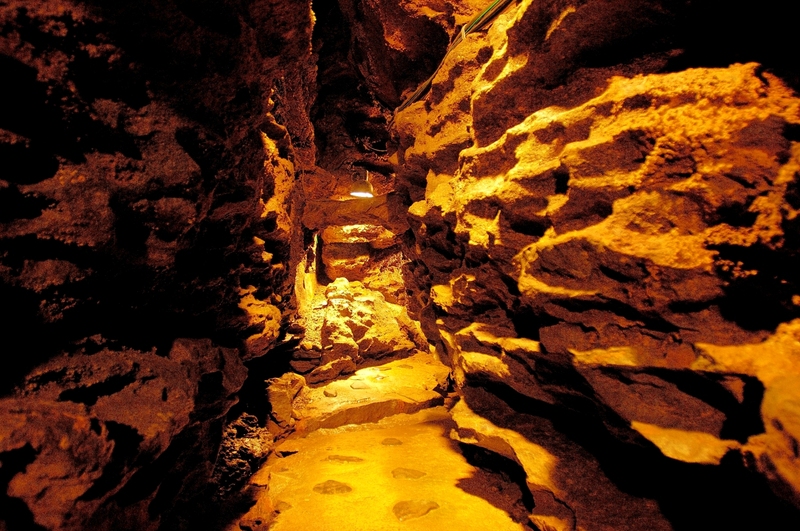 If you walk along the stone pavement in Hokyo-in Temple, there is a flow of the water everywhere expressed with stone or sand. It is the technique of the Japanese garden which expresses the flow of water in what is called the “dry landscape garden” without using water. The dry landscape Japanese garden developed in a temple of the Zen Buddhism after the Muromachi era (from 700 to 450 years ago). 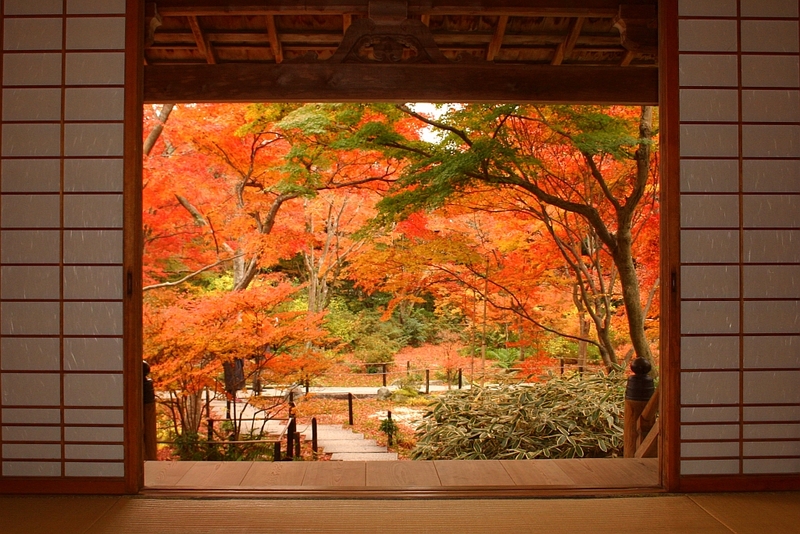 Why not you also see the state of mind of “Zen”, looking at the garden in Houkyou-in Temple?